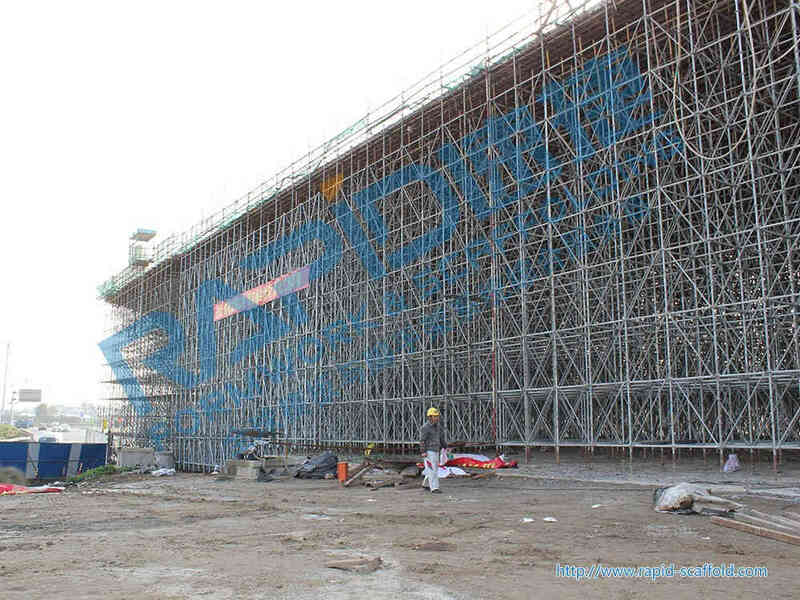 The highway width is 26-40m, the ramp width is 7.5-8.5m, abutment height is 10-15m. 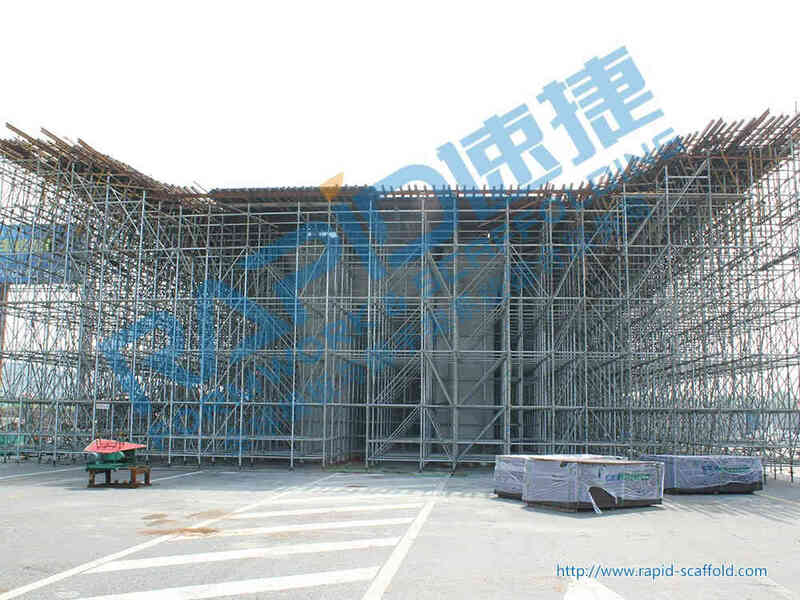 Ramp E7, W6, W7,W8,W9 use Rapid Scaffolding. 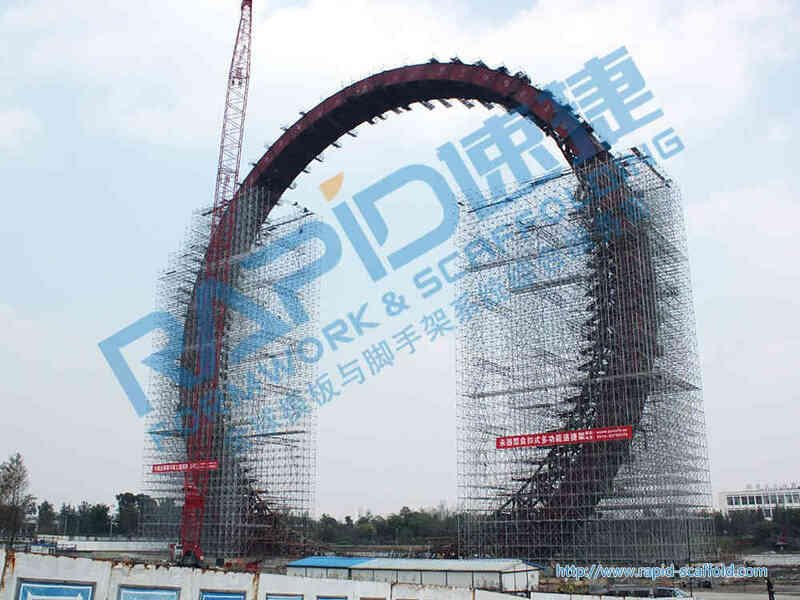 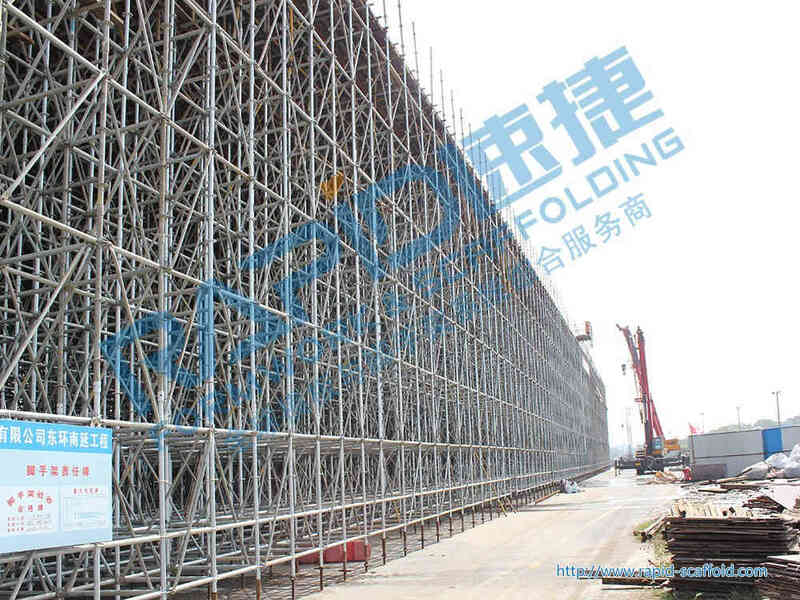 All support scaffolding use Rapid Scaffolding, the erection height is 26-40m. 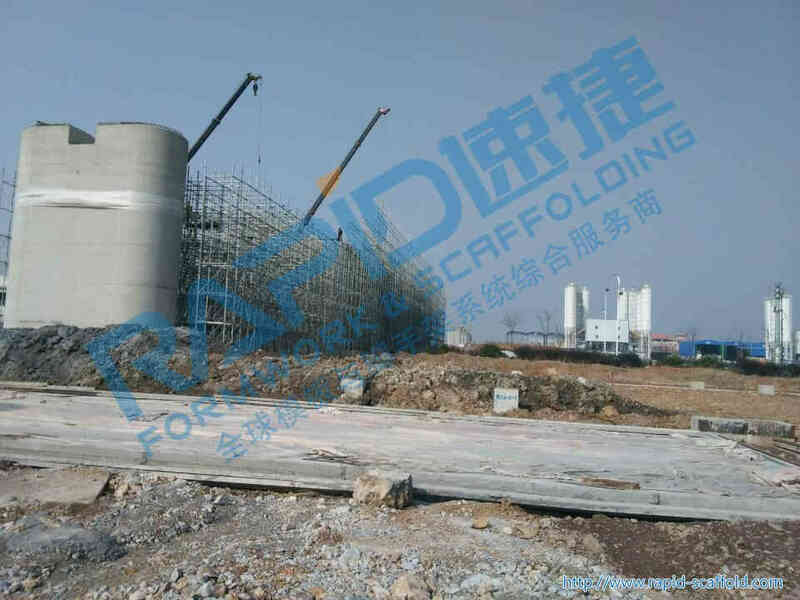 It meets the high precision requirement by adjustable base jack and U-head.